The Maine Farm to School Network Leadership Council provides direction and outreach for the network in Maine. National Core Partners build capacity for and support the expansion of farm to school efforts in their state, serving as liaisons for information, resources, needs and opportunities with the National Farm to School Network. There is one Core Partner organization in every state. Renee Page is the Assistant Director for Healthy Communities of the Capital Area, a local public health organization that serves southern Kennebec County, where she oversees nutrition, obesity prevention, and access to local foods projects. Renee coordinates the Maine Farm to School Network and Maine Farm to Institution, and is a member of the Farm to Institution New England Network Advisory Council. Renee approaches farm to school work with a public health lens and sees it as a way to prevent chronic disease and improve health through increased access to fresh, local foods while helping local communities thrive. She holds a Masters degree in Public Health and did her undergraduate work in Food Science and Human Nutrition and Business Management and Accounting. Renee is a lifelong Mainer who loves being on, in, and near the ocean, the color purple, and has an affinity for hot sauce but not hot weather. She lives in Farmingdale with her spouse, two children, two cats, one dog, and aquarium full of fish. Stephanie has coordinated a diversity of farm to school initiatives in the Northeast and the Northwest— working in the soil, the classroom, and the office. Stephanie has managed educational gardens ranging from small public school plots to a 2-acre Kids Farm and Living Playground, teaching environmental & food education in classrooms and on farms. With a degree in Food Systems from the University of Vermont, she brings experience in outreach with farmers, teachers, school administrators, school nutritional services, and community organizations. She is most motivated by youth access to local food and experiential education, and is a small-scale organic grower based in Midcoast Maine. Stephanie is based out of MFSN’s fiscal and staffing home, Healthy Communities of the Capital Area. Please don’t hesitate to reach out to Stephanie to begin collaborating! Supporting Partners collaborate with National Farm to School Network Core Partners to support capacity building and expansion of farm to school in their state. Viña Lindley is a Food Systems Professional for the University of Maine Cooperative Extension and is based out of the Waldo County office. Her work is primarily focused on supporting school gardens, cooking and nutrition education. She holds a Master’s degree in Environmental Education from Antioch University New England and a B.A. from the University of Massachusetts, Amherst. Viña was born and raised on Martha’s Vineyard where her father worked as a commercial fisherman and her mother in public education. She has happily transplanted roots to midcoast Maine where she lives with her husband, daughter and dog. If she’s not in her office the most likely place you can find her is in the garden where she enjoys growing food, especially garlic! Stephanie is a Child Nutrition Consultant for the Maine Department of Education which administers the federal child nutrition programs including the National School Breakfast and Lunch Program. Stephanie carries a Master’s degree in Food Science and Human Nutrition from the University of Maine and is a Registered Dietitian. Her work involves conducting administrative reviews of school meals programs, managing the USDA Fresh Fruit and Vegetable Program and providing trainings and resources to schools. She is also the Farm to School contact and coordinates the annual Farm to School Cook-off in Maine. Stephanie is passionate about finding “doable” ways for schools to incorporate more local foods into their menus and collaborating with community partners to support Farm to School work. She is a native of Maine and enjoys hiking and camping in our beautiful state and beyond! Martha is the Food Service Director for the Falmouth School Department, overseeing three production kitchens providing healthy meal options to 2100 K-12 students. The nutrition program uses scratch cooking and local foods to the greatest extent possible. Martha is also the coordinator of Falmouth’s Farm-to-School program which roots the farm-to-school movement into Falmouth’s cafeterias, classrooms, and learning gardens. Martha fell in love with the Maine woods, lakes, and coast at the age of 16 and has made Maine her home ever since. She is a graduate of the University of Maine (BS in Botany) and Southern Maine Technical College (Assoc. Degree in Culinary Arts). Favorite foods are pie and barbecue. Regina Grabrovac is Healthy Acadia’s Washington County Food Programs Manager. Regina serves as the Downeast District Representative for the Maine Farm to School Network and oversees the county's farm to school program since 2010. She coordinates the Washington County Gleaning Initiative and the Community Food Council as well as various food security and food system efforts. Regina supports the efforts of Healthy Acadia's FoodCorps and Anti-Hunger and Opportunity Corps VISTA AmeriCorps Service Members. She also connects schools with local, farm fresh produce, offers Maine Harvest Lunch lessons and apple cider pressing workshops, and supports school gardens. Regina has extensive agricultural experience, including operation of two CSA farms and inspection of hundreds of farms for organic certification for state and international agencies. 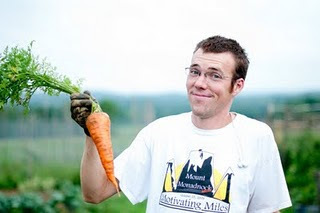 Willie Sawyer Grenier has served on the Maine Farm to School Network since inception. Her background as a farmer, teacher, Ag Educator, and leader in Agriculture in the Classroom program across the country, brings educational strategies and resources to the group. In 2017-18 she served as the National AITC President and in June 2018 MAITC hosted the National Conference in Portland, welcoming 426 educators from across the country with more than 50 Maine tour hosts and volunteers. Annually MAITC holds a Summer Teachers Institute with classroom and onsite Ag Professional Development for PK – 12 classroom teachers. Willie truly supports both Farm to School and School to Farm! She has two grown children that are both involved in the movement, and lives with her husband, Mike, in Albion. Kelsey is the program assistant for Maine Agriculture in the Classroom. Her work is focused on providing resources to schools and educators on how they can incorporate more agriculture into their curriculum. She has a degree in Community Health from the University of Maine at Farmington. Previously she worked at two different healthy community coalitions around the state and comes to the Maine Farm to School Network with a public health lens. Kelsey is passionate about educating students and the community on where their food comes from and increasing the knowledge and awareness around the importance of locally sourced foods and good nutrition. She and her husband currently reside in midcoast Maine and are happily expecting a baby girl later this year. After graduating from the University of Maine with a Bachelors of Music Performance, Ryan landed a job with the United States House of Representatives. He left the House to start his own commercial, micro-scale, diversified farm, which grew to become the largest year round CSA in Maine. While building his farm business, Ryan became interested and involved in food and agriculture policy, and has lobbied and written extensively about both. Prior to working with FoodCorps, Ryan worked with the Natural Resources Council of Maine to establish Katahdin Woods and Waters National Monument, and then wrote the book, literally, on school food waste reduction. 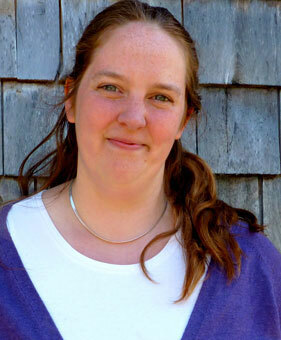 Anna Libby works as the Educational Programs Coordinator at the Maine Organic Farmers and Gardeners Association (MOFGA). Her work at MOFGA focuses on programming for gardeners, homesteaders, and those who love to enjoy the food our farmers produce. Anna grew up on a small farm in Maine where she and her family raised sheep and chickens alongside their garden and orchard. She still gardens and raises chickens on the same property, where she now lives with her husband, dog, and cat. She appreciates the connections the Farm to School Network helps to build both within Maine's communities, as well as between growers and students. 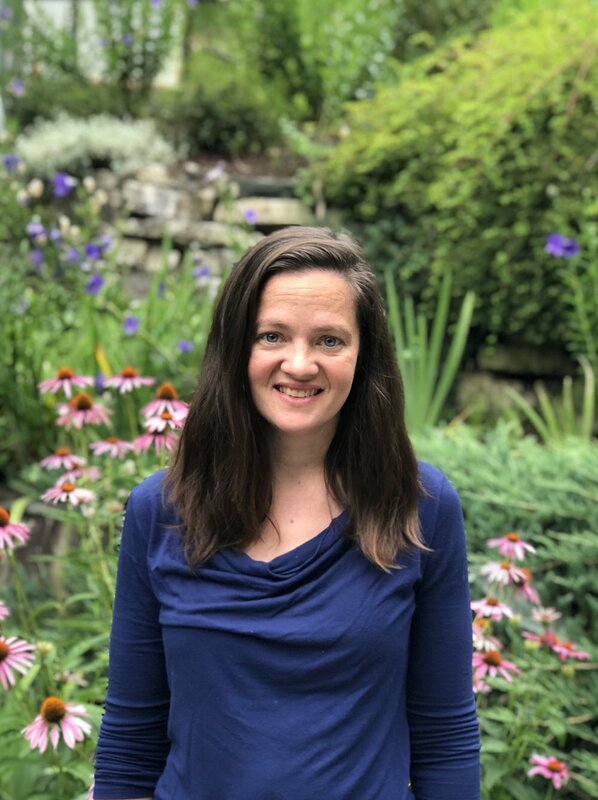 Michelle Erhard is the Development Director for Maine School Garden Network, a statewide organization that promotes and supports educational gardens throughout the state. In her role, she oversees growth and development of MSGN’s increasing number of offerings including the School Garden Coach and Garden Health Engagement programs, School Garden Grown initiative, and networking events for garden educators. Always interested in cooking and eating delicious food, Michelle fell in love with growing, teaching about, and ensuring the accessibility of healthy foods while earning a degree in Environmental Studies from Green Mountain College. She has lived in various communities across the U.S. and gotten her hands dirty in several sides of the food system. Having grown up in New Hampshire, Michelle returned to the Northeast and spent four years with FoodCorps in Maine as both a service member and statewide program lead. She currently lives in southern Maine with her partner and two cats, Mozzarella and Asiago. Laurel is currently serving with FoodCorps as the Maine Team Leader to advance the success of Service Members throughout the state in their service to create a nourishing environment for all students. Laurel has a dual Bachelor of Science degree in Environmental Science from the University of Denver and Food Science and Human Nutrition from the University of Maine. 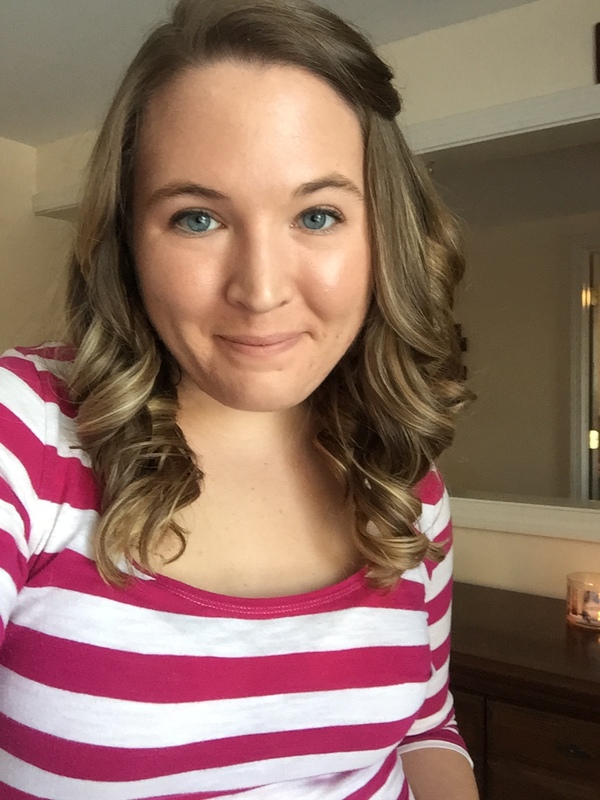 She is currently working on her Master’s in Nutrition at the University of Maine and received an Internship within the state to pursue her license as a Registered Dietitian. Laurel started her work in food policy as a FoodCorps Service Member in Maine in 2015; there she served alongside educators and community leaders to put in place garden, cooking, and nutrition curriculum. Since then, Laurel has worked as the Summer Food Program Coordinator at Opportunity Alliance, and also supported the initiative to create a broader and more strongly connected network of organizations, businesses, and individuals contributing to the food system in Maine alongside the Maine Food Strategy.